It’s no secret that modern Americans are glued to their phones. Today’s consumers spend 90% of their ‘phone time’ using apps. Creating a branded merchandise app experience is crucial to engaging your customer base. Making your product accessible and easy to purchase can take your brand to the next level. Merchandise apps are the most effective way to create a branded experience that your customer connects with. Web searches such as Google provide the customer with a variety of potential sellers. Apps keep your customer browsing options exclusive to your brand. Not only is it a great way to keep your customers from clicking the websites of competitors, it helps you identify your company’s brand. Creating a luxury experience or a sleek modern aesthetic can help your brand stick out in the marketplace. This can be useful in creating a long-term relationship with the customer. Similar products can capitalize on opposing markets. They can do this by shaping their online identity to reach specific consumers. Researching your market can reveal untapped niche markets or key demographics. This information helps brands shape the visual dialogue with the consumer by reflecting the identity of the customer. This can mean including imagery targeting millennials, eco-conscious consumers, or luxury shoppers. Creating an app for your business doesn’t have to break the bank. Many app designers now work from home. It’s easier than ever to become an IT professional and this influx of talent has made app curation more available than ever. Curating your app can also create a need for additional content. Having exclusive video content is just one of many opportunities to reach your customers. Merchandise apps are no longer exclusive to e-retailers. Even brands such as the WWE have capitalized on creating apps that target their consumers. These apps give fans an inside view, create brand relationships, and can become a valuable tool for selling fan merch. Fans may come to the app to view the exclusive content, but will soon become willing consumers of merchandise marketing. Many luxury brands focus on not only offering merchandise through their app. Several include branded videos that offer an exclusive look into their production process. Creating time-sensitive sales is a new way of engaging the customer. Merchandise apps such as GILT and Moda Operandi have capitalized on this model. Another way to create excitement is to motivate consumers with novelty. ‘Fancy’ has capitalized on this idea by publishing new items from a variety of different categories every day. These products range from designer accessories to electronics and high-end novelty items. 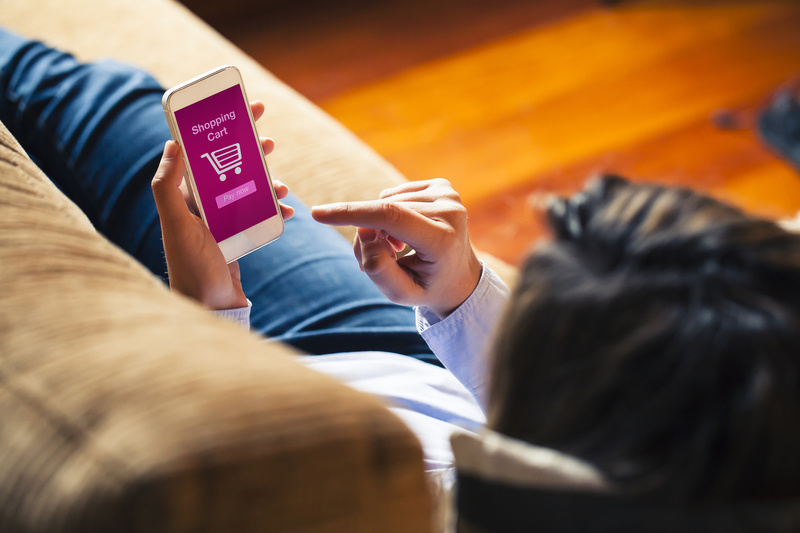 If your brand is still in the early stages of growth, it’s still possible to capitalize on app-based shopping. Websites like Merchify create on-demand products that need no up-front cost to merchants. A brand can create products such as branded iPhone accessories, t-shirts, or posters and have the items produced as they’re sold. This is another aspect of why online shopping is a much lower-risk market for brands. This model circumvents the older Cafe Press or Zazzle process because it is integrated with Shopify. Shopify is an e-commerce service used by a variety of online retailers. They can also make your product available beyond the confines of your merchandise app. One of the biggest perks of the merchandise app model is that overhead is low. Brick and mortar locations have countless expenses. Apps offer 24/7 availability. This availability is impossible to duplicate without countless employees and locations. Because of the decreased need for brick and mortar locations, there has been a going need for apps such at House Account. ‘House Account’ offers difficult to find items from motivated luxury brick and mortar sellers. App developers compete in a very competitive market and are motivated to help your brand create the ideal experience for a low rate. If your business is part of the rare percentage of companies that aren’t right for a merchandising app, there are other options to consider. Optimizing your website for mobile visitors is another choice that can make your site more friendly to web browsers. 10% time spent on the phone is spent using a mobile browser. If you don’t plan to create an app, maintaining a high-quality website experience is possible with the help of a web developer. Another way to optimize your brand’s web presence is by using SEO blogging. SEO blogging optimizes your standing in a Google search by creating content tying your brand to the keywords consumers use most. Google searches rank websites based on algorithms. These algorithms rank websites higher when they are an authority on a given search topic. Websites populated with a myriad of content related to their product show up ahead of websites with fewer keyword mentions. Creating an SEO blog on your website can help your business rate higher in a consumers search results. Google’s ‘Mobilegeddon‘ update is another reason to optimize your website for mobile viewing. Recent algorithm updates have made un-optimized websites rank lower in consumer search results. Social Media engagement is another great way to get your business on the map for potential consumers. 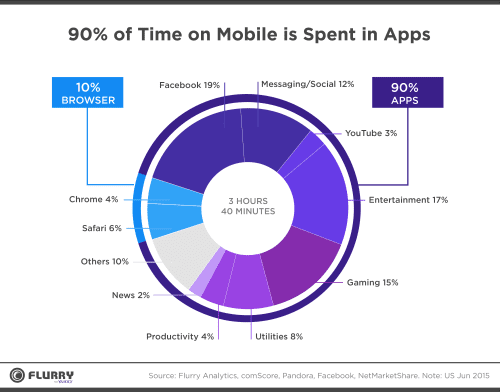 Mobile users spend the majority of their time within an app. Capitalize on the popularity of Twitter, Facebook, and Instagram as another way to reach consumers. Getting a social media influencer to act as an ambassador for your website can help grow your brand. App-based agencies such as RevFluence and Popular Pays pair social media influencers with brands. For an agreed upon rate, you can contract an internet celebrity to promote your brand to millions of followers. There are a variety of ways to target consumers online and it’s important to protect your company from getting lost in the shuffle. Don’t let lower quality businesses steal your sales with a better app! To ensure your success, check out more articles on the latest in technological advances. Good luck!